No one ever plans for divorce, but it is often a reality that even seemingly perfect couples face – look at Hollywood’s Chris Pratt and Anna Faris! Unlike many of Hollywood’s golden couples, most people deciding to divorce unfortunately don’t have the security of millions in the bank to fall back on. However, if you want to protect your financial wellbeing, it is important that you act and think financially, and not emotionally, throughout the divorce process. This is advice from Floris Slabbert, Country Manager at Ecsponent Financial Services. He adds that while you may be emotionally drained when in the throes of divorce proceedings, it is worth focusing on the goal to act in your and your family’s best interests. “To achieve the best possible outcome, you need to approach the financial aspects of your divorce as impassively as possible,” he explains. “Generally speaking, people in the process of divorce don’t feel overly charitable towards their soon-to-be ex-spouse, and their main concern is that they get what they feel they deserve from the settlement,” he says. However, Slabbert notes that it is essential for couples to not only focus on who gets what and how future income will be divided, but also take debts and loans into consideration. To reduce the financial toll of a divorce, Slabbert shares his top tips for couples to avoid falling into the common pitfalls. 1. Gather copies of all documents relating to your legal and financial lives. Not only does this ease the legal proceedings, it also means your spouse won’t be able to hide their assets. Most couples have complex financial portfolios that include assets like your marital residence, rental and/or vacation properties, bank and brokerage accounts, retirement and pension plans, stock options, life insurance with a cash value, and perhaps even a business or professional practice. Even during the best of times, it can be extremely difficult to keep track of all these ever-changing financial components, and when a couple decides to divorce, that task of dividing their joint portfolio is automatically complicated. That is why having easy access to the necessary documents goes a long way in making the task less laborious. 2. What is your marital agreement? When you are married in community of property, all assets you accumulate before and after the marriage belong to both partners equally as it becomes a part of the joint estate of the marital contract. A marriage out of community of property means that all assets you have before your wedding belong to you and are not included in the marital estate. After marriage, you have the choice to combine your assets or to continue building separate estates. If your pre-nuptial agreement is without accrual it means that everything you own before the marriage, as well as property and assets you accumulate during the marriage remain yours. A prenuptial agreement with accrual means everything you own before the marriage is and remains yours. However, whatever you and your spouse gather as assets and property after your wedding is shared equally between husband and wife. It is important to note that, even if you don’t get married but live with your partner for a number of years, the state does not recognise “common-law” or “cohabitation” as a legal relationship under South African law. It is therefore vital to put the necessary contracts and agreements in place with your partner. 3. Make a list of joint and separate assets and liabilities. If you’re married out of community of property, you can transfer assets you own into your own name and into your own accounts. Also, don’t give up joint assets without sound legal and financial advice and be sure to record everything in your final settlement document. Remember you remain liable for joint liabilities and any repayment arrangements must also be agreed upon and recorded. 4. Split the retirement income, not the fund. Many wives, especially, rely on their husbands’ retirement funds because they take time off work to care for the children or by mutual agreement. When they divorce, it is tempting to insist on an immediate split of the husband’s retirement fund. However, apart from the tax implications of early withdrawal that will reduce the value of the fund, there is also an opportunity cost. In 2007, the Pension Funds Act 24 of 1956 introduced the ‘clean-break’ principle. This allows retirement funds to deduct an amount or percentage upon divorce from a member’s benefit and pay it to the non-member spouse or to a retirement fund of their choice. The clean-break principle allows a non-member former spouse to access an agreed or court-ordered share of the member spouse’s retirement savings on divorce. Settle on a portion of the income and lump sum amounts at the time of retirement or transfer your portion to your own fund. 5. Get proper valuations of all assets. Getting professional valuations of your joint and separate assets is worth the time and money spent. It will give you peace of mind that if things take a turn and become hostile, you know exactly what your assets are worth. 6. Insure your partner’s life. If you receive spousal or child support, it is prudent to secure that income stream through life insurance that will replace the income in the event of your ex’s death. 7. Take any tax implications into account. A divorce may have tax implications to consider like capital gains tax on any jointly owned property you may sell, any pension arrangements and any joint business from which you earn an income. Get professional advice to be on the safe side. 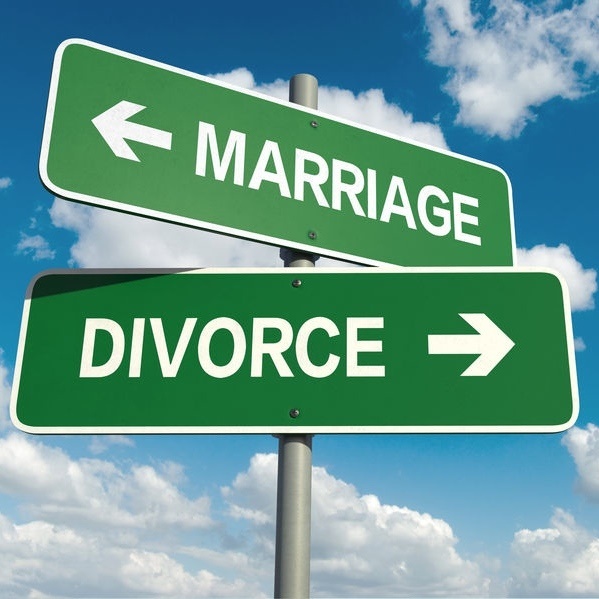 A divorce changes your family structure, so it is vital that you update your will accordingly. The Wills Act, 1953 (Act 7 of 1953) says that, except where you expressly state, a bequest to your divorced spouse will be deemed cancelled if you die within three months of the divorce. This provision is to allow a divorced person a period of three months to amend their will, after the trauma of a divorce. If you don’t update your will within three months after your divorce, your divorced spouse will benefit as indicated in your will. The financial realities after divorce can seem overwhelming, particularly if you have relied on your ex to manage your finances. However, if you keep your wits about you, get professional help and work with a plan, you will astound yourself as you take control of your finances - and your life - on your own terms.